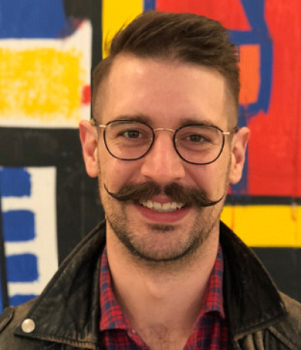 Since then, Andrew has worked on the talent branding teams at WeWork, Uber and Autodesk. He’s got a unique background and he shares a bunch of useful employer branding nuggets. Does every company need an employer branding lead? Not necessarily the role itself, but there needs to be someone whose job is written down in their description that’s in charge of defining, measuring, and activating an employment brand. Too many companies let their corporate brand stand on their own. That doesn’t actually tell prospective employees anything, so they’re in fact doing themselves a disservice by not managing, defining, and doing something with it. Where should employer branding sit in an organization — Who’s reporting to who? Talent Acquisition, Marketing? I’ve been in-house, the agency side, you name it. I’ve seen every different iteration of where this rolls up into this type of role. I don’t think it really matters. I think it’s a type of role that sits in between, as you rightly note, a whole bunch of different departments: marketing communications, internal communications, branding, talent acquisition, so it doesn’t really belong anywhere. Uber and WeWork — What are some learnings from scaling those 2 behemoth brands? Both at Uber and WeWork the role didn’t exist that I ended up taking. I kind of pitched myself into it. I reached out to someone senior within talent acquisition and said, Hey do you know who is managing your employment brand? Who’s doing your recruitment marketing? Do you have a strategy here? Both companies kind of scratched their head and thought, interesting, we should have a role like that. So I ended up writing my own job description saying here’s the scope of work that I think this person should have and here’s the size of your team as it grows. Then from there, just slowly piloted, tested, and scaled up programs within the company and slowly built out teams and the strategy from there. So it’s very much an experimental approach to this kind of work. And I think most hyper-growth companies will have that mindset. So it was quite a natural fit, actually, at both of them. Give me something that folks on the outside would be surprised about working on Uber’s talent branding team. The biggest and most successful channel that we ended up building out and that had an actual team underneath it was very, very high touch personal events for engineers. It was so successful that during the entire brand crisis that Uber went through, we had a couple of people directly dedicated to this. We would actually import engineers from other countries into the US where there were friendly visa relationships. This accounted for 40% of engineer hiring. It was unbelievable, huge, huge success. And it was just a couple of people doing these events. How did these events for engineer recruiting work? Basically, you go to a particular market, let’s say Mexico City, you do a lot of pre-identification of folks (like sourcing) and then you invite them to an experiential 3-4 day event where they see tech talks, meet folks, go through an exhaustive interview process, and then actually get an offer right at the end of it. So it’s the recruitment process on steroids contained in a very short period of time. From there, they get to pick, New York, San Francisco, or another engineering hub location, and actually relocate themselves. How metrics-oriented is Uber, on the talent side? Very, that’s actually kind of where I cut my teeth on getting really into marketing analytics for recruiting. It’s not a thing that people do very often. They’ll buy media or job postings here or there and sort of just spray and pray, putting stuff out there and hope they get something back. I took an incredibly analytical approach. I actually borrowed a lot of the stuff that the driver acquisition team was doing and shifting that to work for full-time employee acquisition. The Driver job (for Uber, Lyft, etc.) may be the most important evergreen job to fill in our lifetime. What’d you learn about filling such evergreen jobs? It’s something I learned a lot from getting really in the weeds with analytics about positions. You can actually look at your system of jobs and optimize their age and when they get pulled down and reposted based on that kind of historical data. So we’ve learned a ton about like evergreen positions and engineering or marketing and how to manage the group of them. And how to most effectively, increase funnel where and when we needed it. How competitive was talent acquisition and branding on Uber versus Lyft when you were there? Uber was about 15 times the size of Lyft. So from a talent perspective, Lyft actually got really good at starting to take our killer folks (both drivers and internal folks), as they sort of matured. It’s Silicon Valley, we’re all fighting against each other. So I don’t think Lyft was any more of a player than anybody else in the world of talent. What about WeWork? What’s something folks on the outside would be surprised about in terms of the talent team and branding team? I joined WeWork at the same point in time as I joined Uber, when it was medium-sized and then going to explode into triple the size in one year. What was really interesting about my role there was same sort of thing, I pitched myself in and wrote my own job description. This sort of branding role became like a head of talent role. And I think it’s actually where we’re going. What do you think the future structure of talent acquisition teams will look like? When you think of it that way it’s like a true marketing and advertising firm. At WeWork, there was also some added internal cultural stuff. The brand management, content production, diversity, campus, things like that. It got so broad that, that kind of marketing and advertising function only took the place of a traditional talent organization. You’ve worked with some major applicant tracking systems (Taleo, Workday, iCIMS, even a homegrown one at Uber). How’s the ATS play into employer branding? Any good talent acquisition organization, once they get past the filling job reqs and get a little bit more sophisticated to understanding the data around their reqs is going to need a really clean and clear, well set up applicant tracking system. When you think about what employer branding or a talent attraction team does is push qualified people into that system. So an ATS and the knowledge of how to write and track sources in an ATS is critical. Some of them do that and do it well, some of them don’t. The unfortunate thing about employer marketing or advertising is there are tons and tons of channels out there, different ones internationally, it’s all got to come into one spot. There’s a lot of potential breakpoints. An example of this is companies like Glassdoor and LinkedIn. You can’t get as deep analytics as you would like, you can’t necessarily understand the path to conversion. From your property (like your landing page on Glassdoor) how does that candidate translate all the way into a hire, that requires pretty sophisticated tagging, and in some cases isn’t possible. Another good example would international, like Asia or Southeast Asia in particular, they’re about 10 years behind the Western world is in terms of how you can you hook up systems together. In some cases, you can’t even track application clicks in other markets. You just have to slog through it and understand what you can get and where. You mentioned LinkedIn. What have you heard about LinkedIn’s new applicant tracking system? Anything? I haven’t actually heard much about it. Just off the top of my head I would probably say no, I wouldn’t be interested in it because of their protectionist approach to data. I like ATS’s like iCims where you have the capability of bolting lots of things on it, it’s much more flexible. You can set it up however you want. LinkedIn tends to be a closed system. You get what you pay for. And that’s it. When you and I met you were working at TMP (the recruitment agency). How should talent acquisition leaders think about working with recruitment agencies? There are very few brands or companies like your Ubers, WeWork, Salesforces that can build out a team of 15 people to focus on employer marketing. Getting yourself a good agency is critical, particularly if you don’t have a full-time person managing all this work. They’re the ones with their pulse on the market, and what’s new and hot. What’s your advice on for a talent leader on picking an employer branding agency? I’m a data junkie. I would say go with one that has proven ability to show ROI on the analytics first. For me, I worked most closely with and continue to work closely with Recruitics, which is kind of a performance marketing and advertising agency. How important is programmatic ad buying these days? Is that sort of the biggest shift with agencies? Is that the big new value add they provide? 100%. I think people tend to stumble on the shiny, flashy things, like video or a big cool brand campaign on LinkedIn, the pretty advertising side of advertising. If you think of what you’re really trying to do in the talent acquisition organization, it’s fill quality butts in seats. I would say, anyone tackling this work… First start programmatic then move up in sophistication towards content marketing later on once you get the basics right. Somewhere around 2013 you had a lot of awesome ideas about search engine optimization (SEO). 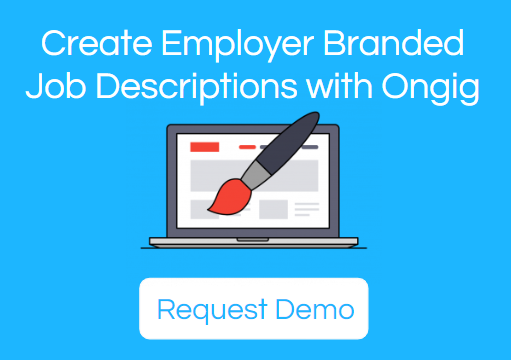 How do SEO and employer branding work together? I think SEO is one of the first things that somebody should do. They should reach across the aisle within the organization to find somebody who’s an SEO expert. You all know that your careers website and your job landing pages are critical. Those are the ones that you the people who are actively searching will go to first or organically find in search engines. One of the reasons why I love Ongig is the ability to put highly customizable content, tags, you name it all on one page in an automated way. It’s incredibly scalable and it will deeply help with your search rankings. There isn’t an ATS that does that for you, there isn’t anything else out there. So absolutely. People will pay attention to it and borrow, beg, steal from across the island. How much work does an Autodesk, Uber, or WeWork put into their career site and job postings? A ton! Career sites are usually one of those orphans or stepchild that don’t get as much attention on the .com site as they should, even though they tend to be the most highly trafficked site of your website. That’s actually true to Uber and also WeWork more so than their product sales, they get higher volumes into the career site. How much time goes into it? It really depends. I designed and launched career sites at each of those brands, Autodesk, WeWork and Uber. It depends on if you build it all in-house or use a SaaS vendor. Ongig is actually an option for a career site. And slowly, you can nurture them along the process towards getting into the application funnel. That’s sort of where I see the best in class career site. How do marketing departments and talent departments work together? Where do they work well together, where do they not? Why I think the employment brand, employment marketing, talent attraction function needs to exist on its own is because of the fact that a marketing department has its own KPIs and measures. Talent acquisition has very different KPIs and measures. You’re never really going to get the attention that you want out of a marketing organization. That’s not to say there isn’t a ton of overlap. When you get into the corporate branding side of things like storytelling around diversity, employee profiles, or executive profiles, those types of efforts should be hand in hand between your talent attraction function and your marketing or communications function. It really is all about building that bridge early, doing joint campaigns where you can but also knowing where you need to separate your work and get your own agency and get your own budget. You’re never going to get as much as you want from marketing so choose your battles wisely. You also did some early work on video job descriptions? We worked on a bunch stuff together at Autodesk. What difference can video make? What did you learn there? I remember the Autodesk ones. And then I think Yelp was one of your early clients that did a killer job on video job descriptions. The thing that I love the most about that approach is the transparency. You immediately know the feel, the look of the office, even the hiring manager in some cases that you’re actually going to talk to. That level of access is unparalleled, you can’t get that on Glassdoor, you can’t get that on the career site. People are more and more comfortable with this type of video, just shot right on your iPhone or computer. And that’s it. I do think that the more those systems get integrated, I hope that more hiring managers will pop up a 20-second video to enhance employer branding on job descriptions moving forward. What’s your opinion on using a professional video or amateur video on job descriptions? I have no problem doing something basic and simple. I think when you get to a point with a multi-billion dollar brand and trying to represent how the talent brand meets up with the corporate brand, that’s when your professional videos are necessary. On things like a job description page, which are going to be up and down and change, why not put up a quick chat. I see no reason why you shouldn’t. So I think it’s pick and choose your quality of video for the more polished stuff. Culture Decks. You were part of that Autodesk Culture Code Slideshare deck that took off like wildfire. I believe that Netflix, Hubspot, and Autodesk had the most popular culture code decks ever. What is a Culture Code Deck and what do you recall about that? So I just looked at it and it’s at 1.9 million views. Unbelievable. This was actually one of those great cross-functional events where I had a really early Employee Value Proposition (EVP). We wanted a really quick and easy way to visually share what it’s like to work at Autodesk. I sat down with a designer and some folks from their team and we just brainstormed and slapped together a quick deck. I mean, this was nothing crazy. It took us maybe a couple hours. We then put it up on SlideShare and did an internal training with recruiters and staff and everyone on how to share and put it on your LinkedIn profile, that kind of stuff. So organically, this piece of content went everywhere. There were 60 slides. The philosophy behind it was to be almost BuzzFeed style. The title of it was Top Seven Reasons You Should Work at Autodesk. And just bam, bam, bam, bam, click-through the slides, you consume it with the visuals. I loved that project. To this day, it’s still one of the things I’m most proud of. Zero dollars, and just an incredibly effective piece of content. I’d say conservatively was probably about five total hours. It came up in the recruiting process all the time, candidates would say I love learning through it, and it totally hooked me and got me in the door. Any tips on creating a good employer value proposition? Absolutely. Creating a good employee value proposition depends on how crazy you want to go. Having the people who it’s most valuable to participate in the process. What I mean by that is, conducting focus groups around themes, around your values, looking at your own existing culture surveys, and Glassdoor data. Getting as much data as you can, in one spot, crunch it, and then understand. So by all that research, you can kind of get to this one central point. Make sure it’s done of the employees for the employees. That doesn’t mean that you can’t use an external vendor, but make sure that the methodology the external vendor is using is very much rooted within your company and people within your company are helping make it. In terms of the output of an EVP, it doesn’t matter. Whatever works for you. You can spend $250,000 on an entire brand architecture projects, or you can do it for free in-house with a couple folks that you update your careers website with. Is $250,000 really something folks are paying for an EVP? If you think of a complicated house of brands, like an eBay or Facebook, that is an incredible amount of research and digging into each one of their social media accounts (Instagram, Facebook, Twitter). Let’s talk employer review sites. What do you think of Recruit/Indeed’s acquisition at Glassdoor what does that mean for talent leaders? I truly believe they’re going to leave them alone. I think they’re going to stay a separate brand that’s going to sit there for a while and they’ll probably pull some of the awesome stuff from Glassdoor and put it onto the Indeed review sites and stuff like that. What it means for talent leaders? I don’t think anything. I only see it becoming more and more important as jobs become. Whereas the economy heats up, and especially in Silicon Valley, and things get tighter, you’ve got to differentiate yourself somehow. What do you say to talent leaders who cringe or have a bad feeling because their Glassdoor ratings are not quite where they want them to be? What’s your advice there? Regardless of if you don’t like it or not, it’s a reality. This is what your employees are saying about their experience. I think particularly interesting is to look at what employees say when they leave. Those reviews are very telling and usually very honest about your hotspots. So if you want to change it, change something internally, this isn’t going to be fixed by a PR strategy on Glassdoor. It’s really looking at the themes and the data and attacking those 3 critical things that employees are saying the most. That’s actual work that you need actual executives to buy into and sign-off on. But when you start working on it, you will see results in your scores increase. And the recruiting process will be easier. How would you compare Comparably versus Glassdoor? Is Comparably a Glassdoor alternative? I’d say they’re direct competitors for sure. I think Comparably’s differentiators are how they capture the data from the reviewers (employees) and the depth at which they do so. They use a really fascinating kind of CRM-based communications, where they’re slowly gathering more and more information about culture and salary. Much more sophisticated than Glassdoor. I think over time, Comparably will kill it. They really have a much more fascinating group of data than Glassdoor has now, but Comparably is very, very small compared to Glassdoor at this point. They’ve got some growing to do but I think it’s an awesome platform. Employer Branding Frameworks — Do you have any frameworks/systems you use to succeed at talent branding and talent attraction? It’s almost like a management philosophy, but also a data philosophy. I’ve built out teams that have upwards to 15 people who are working on this stuff all over the world. In order to manage a team like that, you really have to kind of let the reigns go a little bit. That kind of leads me to my philosophy around the measurement of your activities. Why that makes it so easy to allow for creativity and growth within the team is it allows for tons of space to play around. If you want to try something crazy out there and you measure the percent of candidates that make to an onsite interview, you will get very clean and comparable data across your channels…for paid and free candidates. Last but not least. Employera. That’s your new company that you’re joining. It seems like a really cool intersection of employer branding and talent acquisition. Why did you join Employera? Employera is like a management consulting firm that’s focusing on employment brand, the talent lifecycle, internal communications, employee value proposition. Why I joined? I have a deep and profound respect for the founding members like Andy (Getsey) and Kirsten Davidson from Glassdoor. I’ve been in the hyper-growth startup phase for many years now and taking companies from a couple thousand to 20,000. I really wanted to shift into building out something small, digging in with a couple folks and really getting more back into the client base work where you can really dig in with a client and deliver something awesome to them. So that was my logic behind it, I’ve just joined and I’m super-excited about what’s coming up.